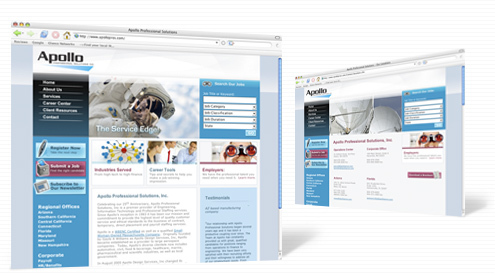 Apollo Professional Solutions came to Savvy looking to revamp their web presence. Savvy created a new design and set up our content management software, along with some custom code. If you're looking for a new job, why not try out the job finder at ApolloPros.com.